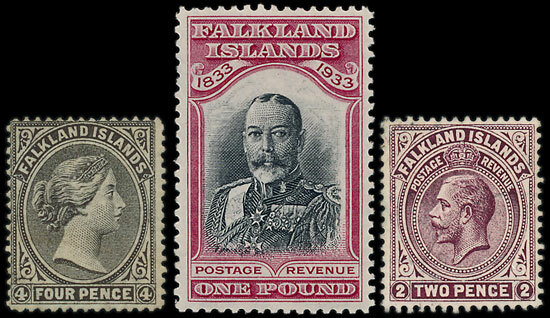 The May Stamp Auction included an excellent collection of Falkland Islands & Dependencies, from Queen Victoria through to Queen Elizabeth, offered in 70 lots. Due to the rarity and high quality the collection sold very well with some more unusual items achieving impressive prices. An 1878-9 4d with part papermaker’s watermark, with a catalogue estimate of £700, sold for £1,770 & a 1921-8 2d with inverted watermark sold for £3,186 eclipsing the estimate of £1,000 and not far from the catalogue price. Also, a 1933 Centenary mint set sold for £2,480. From the same collection a 1918-20 ½d War Stamp in part sheet with margins and showing various varieties amongst the 12 stamps, sold for £1530. A fine example of an India 1854-5 4 anna used & expertised, reached a remarkable £1,710. 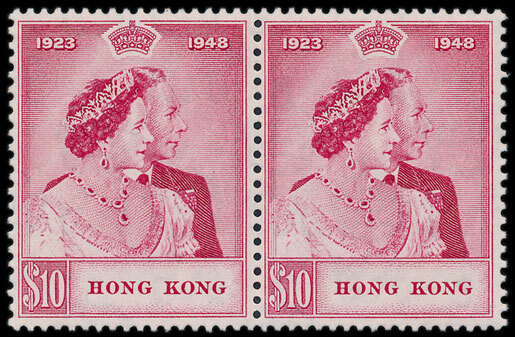 There were a number of British Commonwealth Omnibus collections in the auction, amongst which a 1948 RSW set in UM pairs stood out. 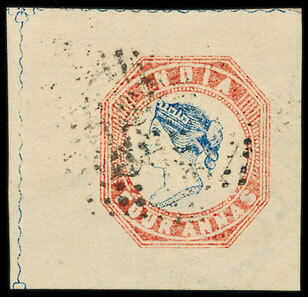 Estimated at £1,500 the lot realised £2,000, similarly, a set in singles sold for £944. 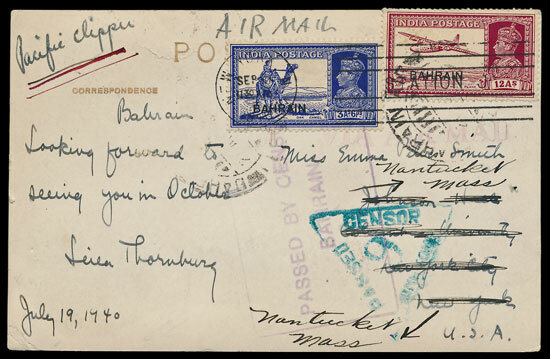 An extensive collection of Censor mail postcards in 7 lots received enthusiastic bidding, with the first lot, approximately 450 cards from Africa and the Middle East selling for £4,600, dwarfing the estimate of £1,000. 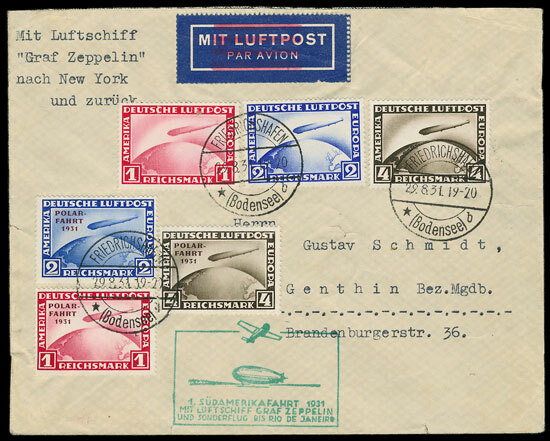 Philatelic items related to airships generally sell well, and a 1938 Graf Zeppelin flown cover proved no exception, with a hammer price of £470. 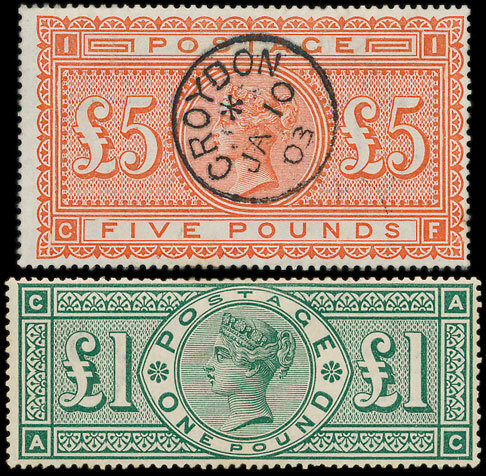 Classics continued to sell well, an 1867-83 £5 with superb cancel sold for £1,530 and an 1887-92 £1 mint sold for £1,090. 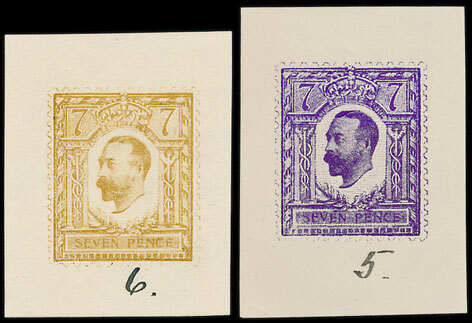 An interesting range of 7 1910 colour trials sold for £620.